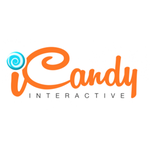 IPO Investment Opportunity:iCandy Interactive Ltd.
iCandy Interactive Ltd (“iCandy”), one of South-East Asia’s leading games developers, is expected to list on the ASX in late September – and readers now have the opportunity to participate in the company’s IPO. The company is seeking to raise up to $3.5 million through an Initial Public Offer of 17.5 million shares priced at $0.20 each with a minimum subscription of $2.5 million. iCandy is being spun-off by Fatfish Internet Group (ASX:FFG) as a separate company on the ASX and is the only mobile game studio in SE Asia to attract in excess of 1 million downloads for every game it has produced. Its games have attracted over 13 million users spread around the globe. The near term target is to achieve 100 million downloads within the next 2 years through a combination of organic growth and acquisitions of other gaming studios with strong commercial capabilities. Headquartered in Singapore with mobile game studios in Kuala Lumpur (Malaysia) and Jakarta (Indonesia), iCandy is preparing to springboard onto the international stage and establish a sustainable global footprint. The company’s success lies in its ability to create unique and highly entertaining titles including MobFish Hunter, Sporos and AlienHive. This is a highly speculative investment and you may lose ALL of your investment. It is highly recommended that before investing, investors should seek professional financial advice.